From its simple nature, this book seems scarcely to need any prefatory remarks, with the exception only of certaui acknowledgments. 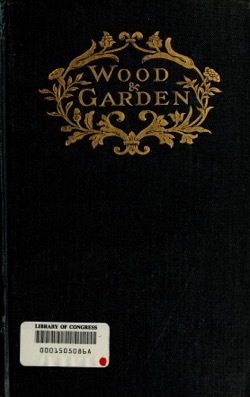 A portion of the contents (about one-third) appeared during the years 1896 and 1897 in the pages of the Guardian, as ” Notes from Garden and Woodland.” I am indebted to the courtesy of the editor and proprietors of that journal for permission to republish these notes. The greater part of the photographs from which the illustrations have been prepared were done on my own ground — a space of some fifteen acres. 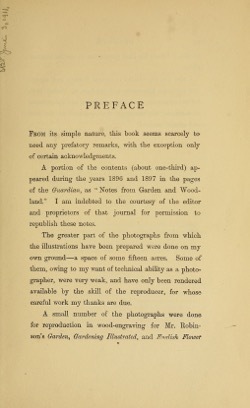 Some of them, owing to my want of technical ability as a photographer, were very weak, and have only been rendered available by the skill of the reproducer, for whose careful work my thanks are due. 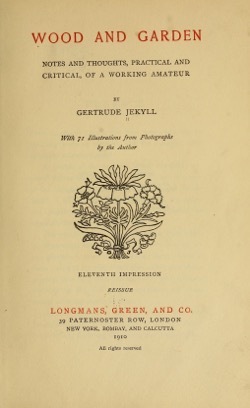 A small number of the photographs were done for reproduction in wood-engraving for Mr. Robinson’s Garden, Gardening Illustrated, and English Flower Garden. I have his kind permission to use the original plates. I also owe my thanks to several friends, and especially to Canon EUacombe and the Rev. 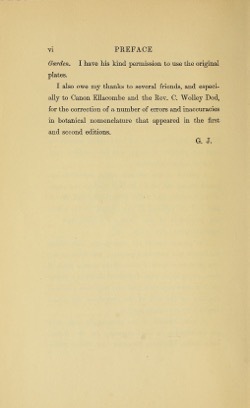 C. Wolley Dod, for the correction of a number of errors and inaccuracies in botanical nomenclature that appeared in the first and second editions.